We’ve seen it before: Giant discounts on TVs or games consoles or perhaps the latest iPhone generate a frenzy among shoppers. But in France, it seems, 70 percent off the hazelnut-and-chocolate spread Nutella can also do the trick. When a supermarket chain slashed the price of 33-ounce jars of the spread on Thursday, scenes grew so heated in one store in Ostricourt, in the north of France, that the police had to be called. Videos on social media showed shoppers stamping on each other and shouting as they tried to snag the jars at the discounted price of 1.41 euros, or about $1.75. Some stores resorted to restricting sales to one jar per person, with several quickly running out of stock and having to turn away customers. The spread is a favorite in France, often used for topping croissants and baguettes. Ferrero, the product’s Italian maker, even has one of its biggest factories in Normandy, in northern France. 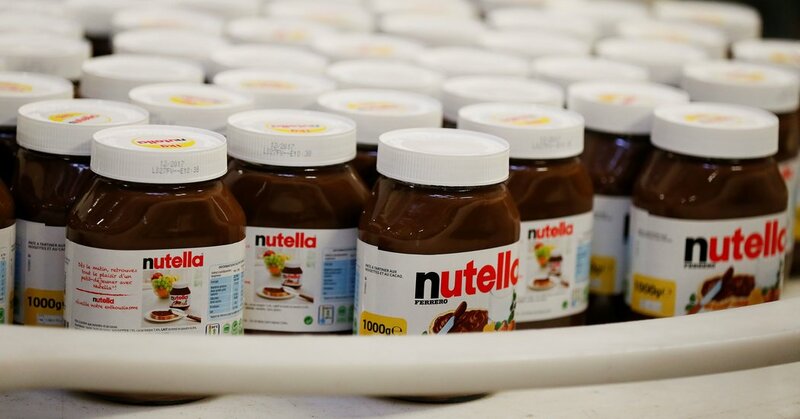 Ferrero, however, in an apparent attempt to distance itself from the unsightly hysteria, said that it had nothing to do with the promotion by the supermarket chain, Intermarché.